On our 2nd day on the road… we left Albuquerque heading east on I-40. I found the one Christmas decoration we had brought with us. Battery lit Christmas trees. Are we festive or what? 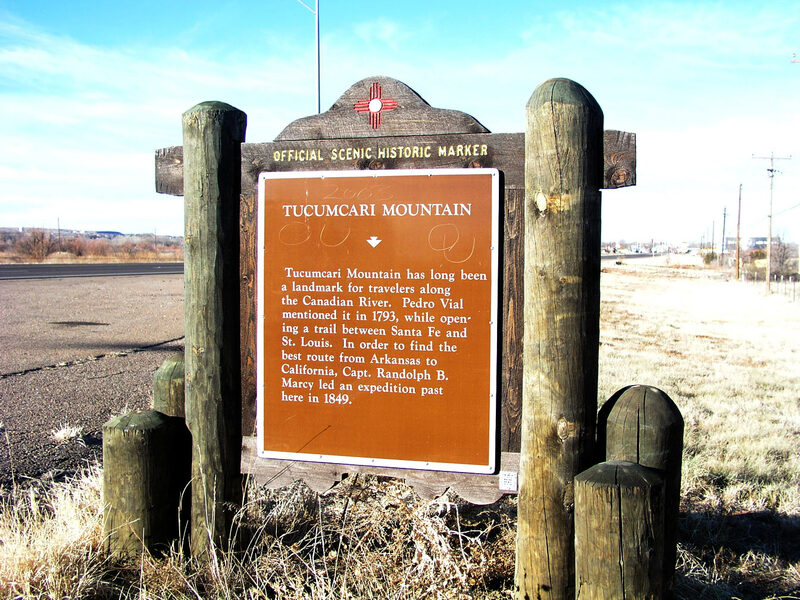 174 miles to Tucumcari. No, we didn’t stay there, but it’s the crossroads for I-40 and Hwy 54 and the old Route 66. 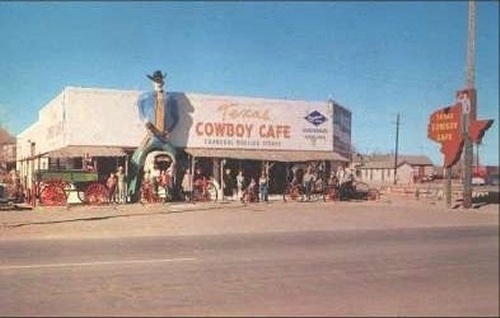 A classic western town if there ever was one. It appears to be a nearly dead town. But appearances can be deceiving. We stopped at a local Ice Cream/sandwich shop. 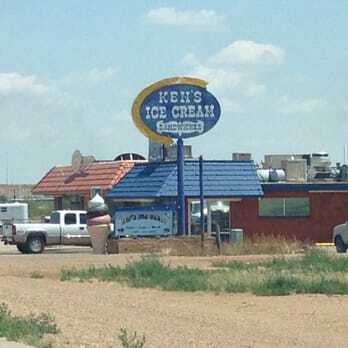 Ken’s Ice Cream. Judy, the shy quiet one, made friends with just about everyone in the shop and found out to her surprise, that real estate is an active market there. The town had won a prestigious national award for being the smallest big town with the most trees per capita. It was a proud moment. Its a town with many charms and a couple of gas stations. 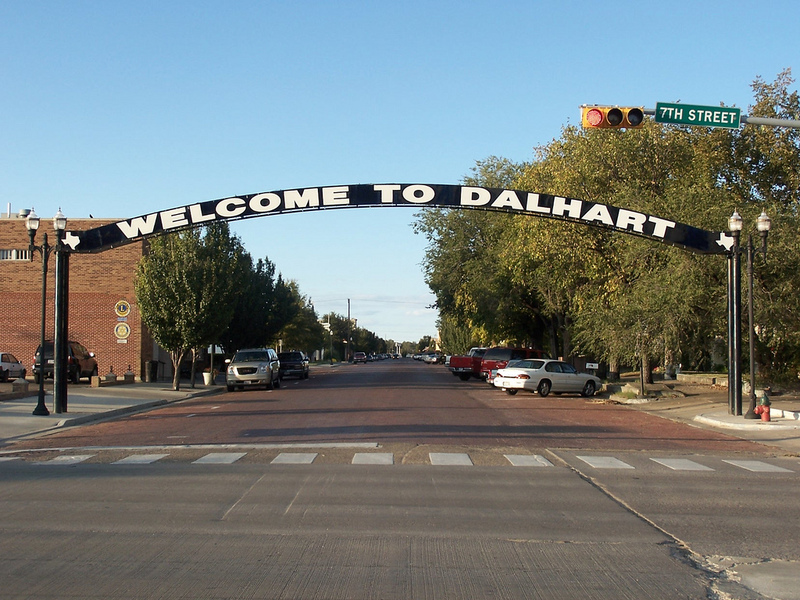 Then another 95 miles to the epicenter of northern Texas, Dalhart. One of the biggest little cow towns in northern Texas. It’s really a cute town, full of history and artifacts. Watch out for the tall guy, he’s got a bad attitude. 113 miles to Liberal, KS, home of Dorthy from the Wizard of OZ. Judy really wanted to go visit this place, but, I found this picture instead. Saved me three blocks of driving. Then the final leg of 212 miles to Wichita, KS or Goddard, Medicalodge, where my dad, Marvin is living. We got in somewhat late, but our reservations with Walmart were OK. We got our space in the parking lot and had another restful nights sleep. But, on to another important topic for this story. The naming of the RV. The first name suggestion came in… and its “McCabus” a delightful choice. The second choice was close, “McBus” But, we’d like at least two more suggestions if possible. Judy, didn’t your parents name the motor home?